At DuraShed, we recognize that the layout and topography of every yard is different. We work with you to ensure you buy the right parts and materials for your project, and we don't take shortcuts. All of our vinyl fencing is kitted and shipped ready to assemble onsite. Below you'll find a step by step guide to determining the right fencing materials for your project. If you have any questions, give us a call, our fencing experts are standing by to help. Just beginning to research a new fence for your property? Click the button below to get an instant estimate . We recommend confirming the calculated footage by taking physical measurements before purchasing. 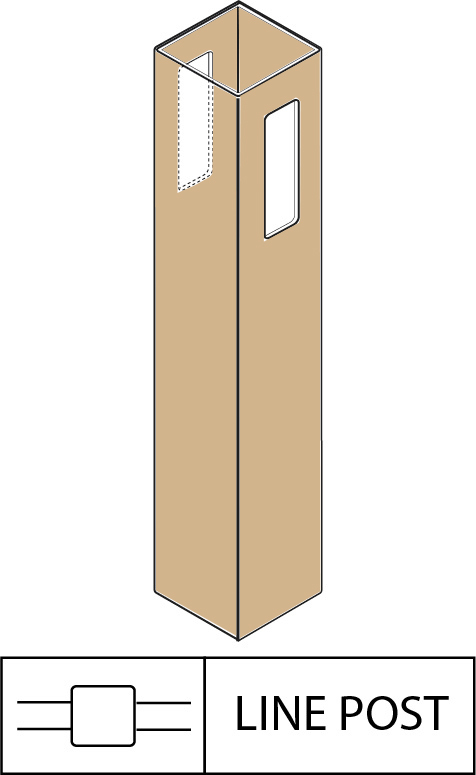 Step 1: Print this diagram - you'll find this very useful as you proceed. Step 2: Browse our website to select a style of fence. Step 3: Measure off the area to be fenced. 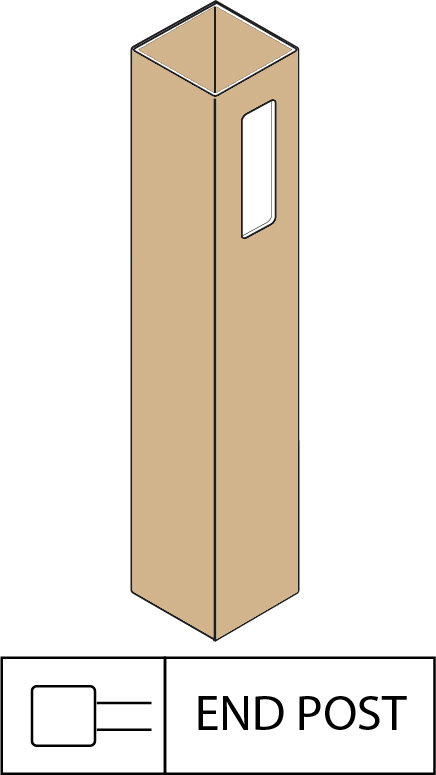 Step 4: Draw a layout of the area where you are installing the fence to determine the number of fence panels as well as the number and type of fence posts that you will need. Step 5: Place your order online. 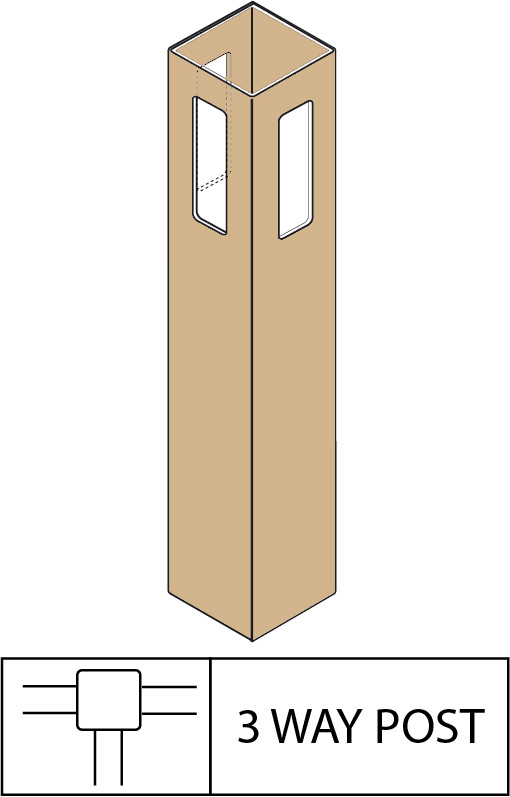 After following the steps above, you should be able to determine the quantity of fence panels & posts needed. Simply browse our website to choose the style of fence that best meets your needs, select your posts and gates, add caps, and complete your order! Request a custom quote: To request a quote, just e-mail your diagram to support@durasheds.store or fax it to 1-949-340-8015. Please be sure to include your name, address, fence style and height, post cap style and most importantly - your phone number so we can call you back. A lot of people just take a picture of their diagram with their cell phone and then email to us! Need help? Please don't hesitate to contact us. We'll take the time to work with you to make sure you get everything you need to complete your project and we always inspect every order before it ships to make sure you're order includes everything you'll need to complete your project the right way..
Used for a 90 degree angle. Used to continue a line and turn a corner. 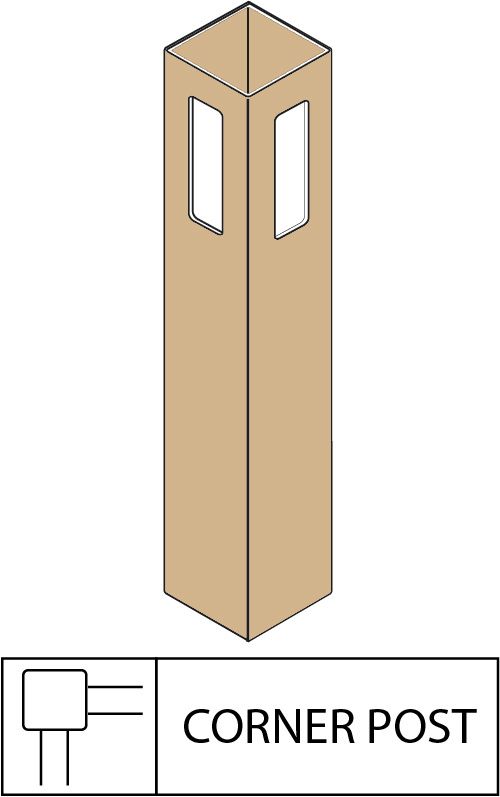 Used on the non-hinge side of a gate that does not have a fence panel attached to it. Vinyl & aluminum fence can be cut just like wood (for example, if you have a 4.5’ wide section, you can purchase an 6’ section and cut it to the required size). A gate is recommended when installing fencing that completely encloses an area. 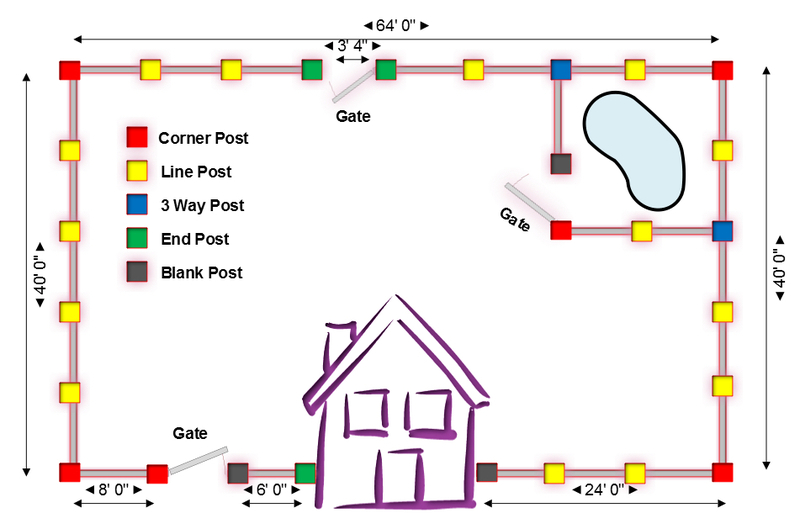 Depending on the gate hardware selected, you must measure your gate (including the gate hardware) after it is assembled to get your inside to inside dimension (example - gate is 44.5" wide and you need 2" for your gate hardware - your dimension will be 46.5”)..